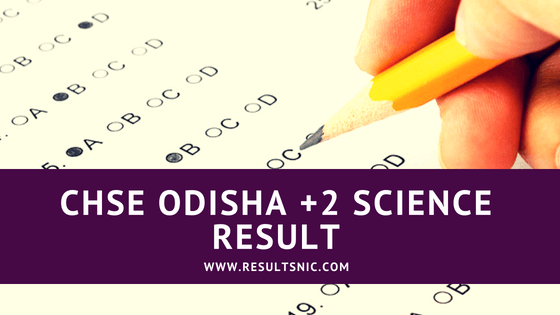 Odisha CHSE +2 Science Result 2018 is released by Council of Higher Secondary Education (CHSE), Odisha on 19th May 2018. Students from Odisha state can check their +2 Science Results on the official website of CHSE and Odisha NIC Results website. This year 76.98 percent students have passed the examination, last year pass percentage was 81.11%. The Council of Higher Secondary Education (CHSE), Odisha announced the CHSE Result 2018 or Orissa Class 12th Results 2018 on May 19th. 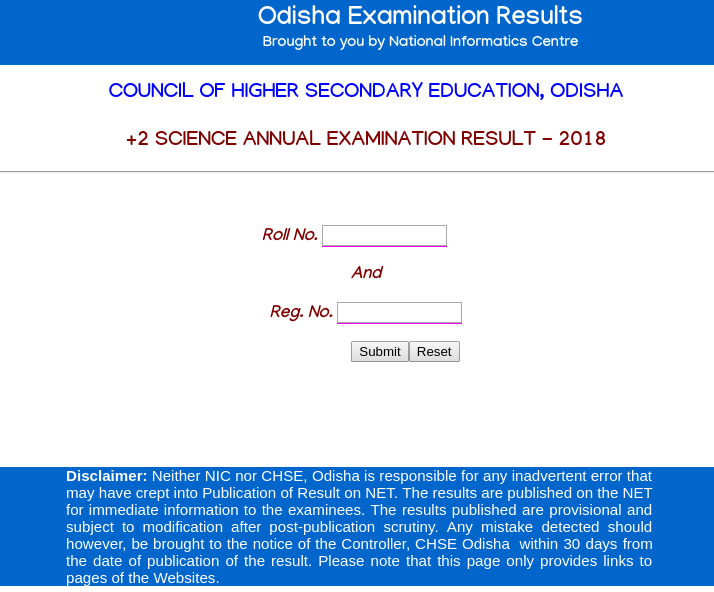 The Council of Higher Secondary Education (CHSE), Odisha is released the Orissa Class 12 Result 2018 on its official website chseodisha.nic.in. The Council of Higher Secondary Education Board conducted the examination for Odisha Class 12 examination 2018 from March 6- March 28. Students can also check their results on examresults.net/odisha and results.nic.in. Step 2: Enter your Roll number and Register Number. Step 6: Download and take a print out of your CHSE +2 Science Result 2018. The pass percentage was the highest in Balasore district last year with 93.61 %. The pass rate of Nayagarh district is the highest 92.23%. The pass rate of Gajapati district is the lowest with 43.43 percent. A total of 19, 561 students secured first division. 24, 164 students secured second division. 28, 968 got the third division.